View the artworks at Swansea Library until the end of November. Competition organisers Christine (far left) and Ross (second from right), with attendees at the exhibition opening night. 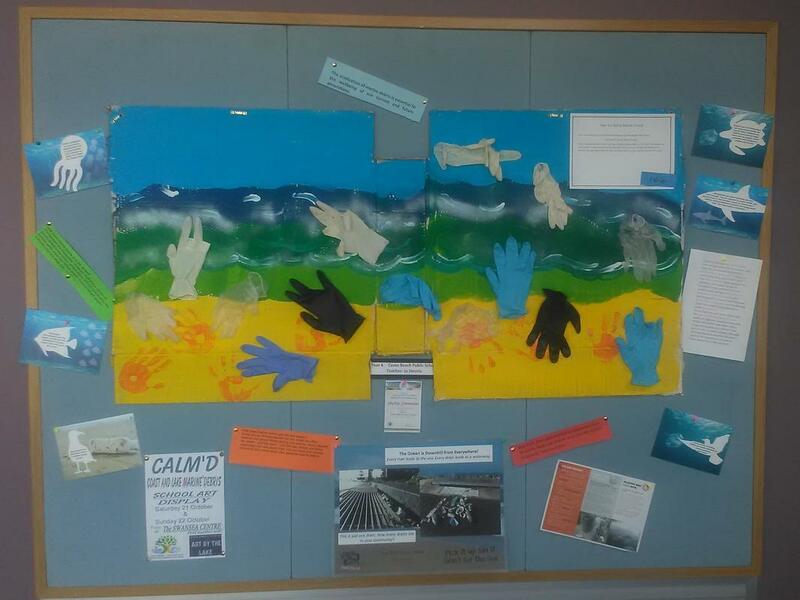 Ocean & Coastal Care Initiatives (OCCI) Lake Macquarie-Newcastle​ for the sponsorship of a prize package for a primary school including a ‘specially tailored’ school visit (educational activity) and a prize pack of resources with a marine focus. The Office of the NSW State Member for Swansea for their help in this competition/exhibition. ​Woolworths Supermarket Swansea for their help in this competition​/exhibition. AMOS AIR Caves Beach Air Conditioning, Ventilation & Heating, for their help in this competition​ and exhibition. Thank you ! The marine environment needs all the help we can muster! This competition is open to local Primary and High Schools in the Swansea/ Caves Beach area. 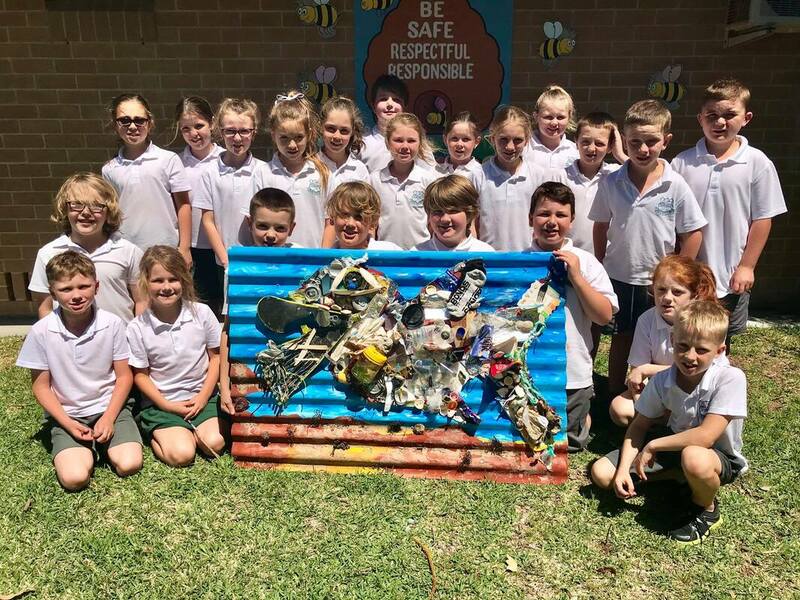 It is intended to Educate, to Challenge and to Stimulate the imagination of our local school communities to create art works made from Marine Debris items which are found around the parks and foreshores of our local water ways, including the Channel, the beaches, the bays and the Lake. 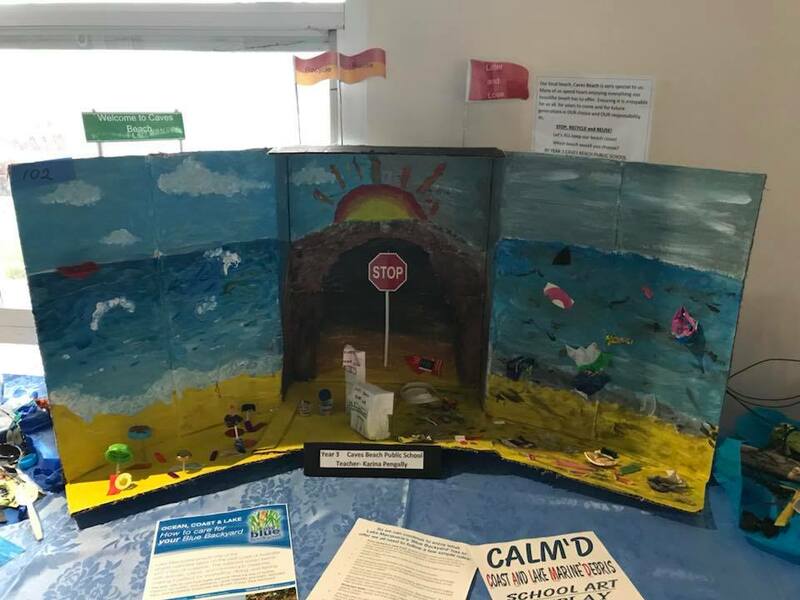 At the same time, create an awareness of the effects this debris can have on our Marine Environment. 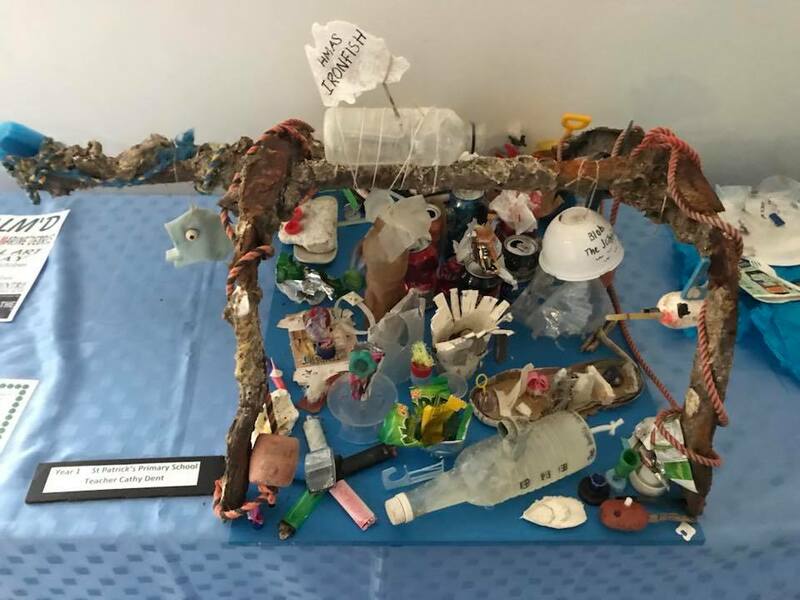 A story to accompany artwork, from 100 to 200 words, detailing the experience and knowledge gained from learning about Marine Debris and the effects on our Waterways and Oceans. Prizes will be awarded and Certificates of Participation will be given to all Entries. 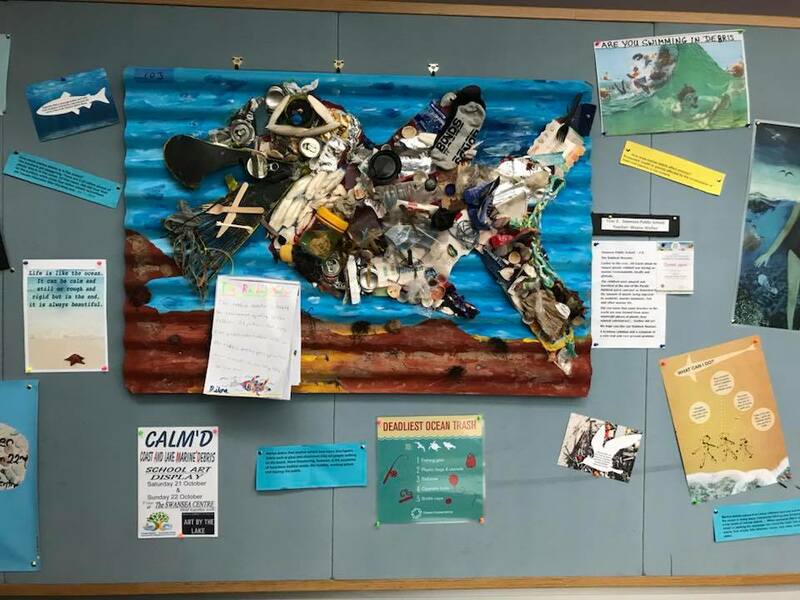 Artworks must contain at least 40% Marine Debris and can be either: a collage suitable to hang and no larger than 1m x 1m and no heavier than 10kg; or a sculpture no larger than 1 m cubed and be no heavier than 20kg. Deliver Artworks to Swansea Community Centre by Thursday 19th October. Marine Debris items that are used must be clean and Artworks must not contain dangerous items that could cause injury. Caves beach Swansea Area Sustainable Neighbourhood Group accepts no responsibility for artworks that may be damaged during viewing or for any loss or damage that occurs.